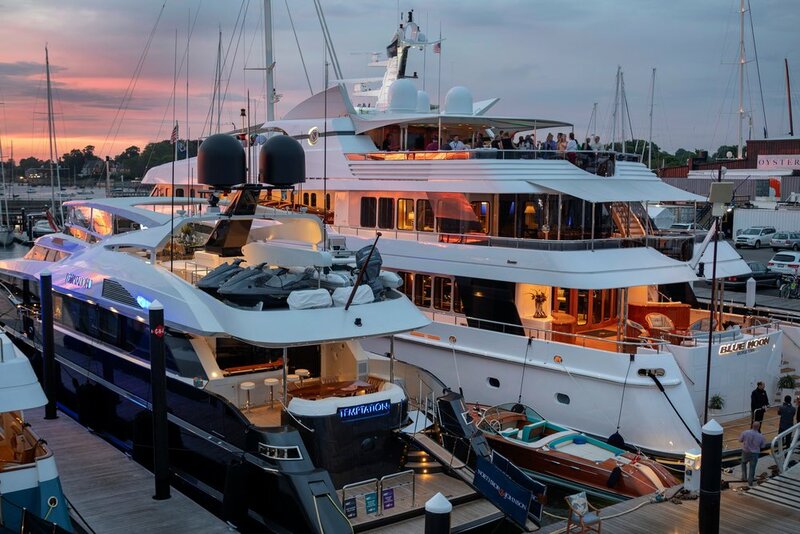 For more information, visit: www.NewportCharterShow.com or contact Veronica Brown, Show Manager, Newport Shipyard, +1 401 846 6000, veronica@newportshipyard.com. 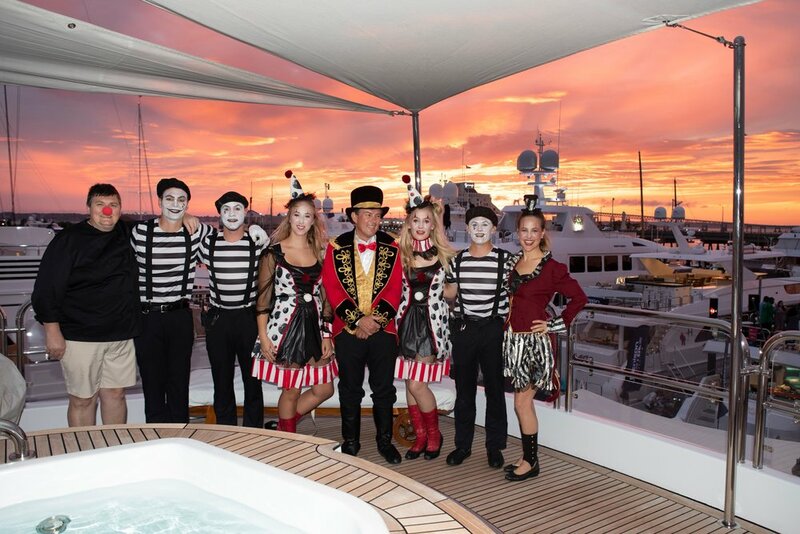 Special events started with a captain and crew’s briefing and happy-hour social on Monday sponsored by Sea Hawk Paints and Alexseal Yacht Coatings. Drinks for the briefing were sponsored by Bridge Liquors. 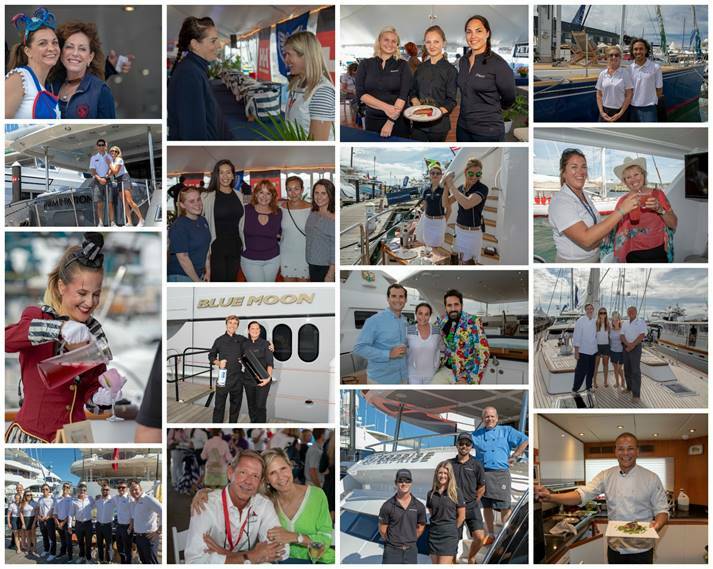 Bank Rhode Island sponsored a daily breakfast under the main show tent catered by Newport Shipyard’s popular eatery Belle's Café. Tuesday and Wednesday’s Chef’s Competition, Captains’ Competitions and onboard Crew Competitions were sponsored by ISS GMT, Denison Yacht Sales, and Sentinel Limousine, while an industry-led educational seminar was hosted by American Yacht Charter Association on Thursday morning. 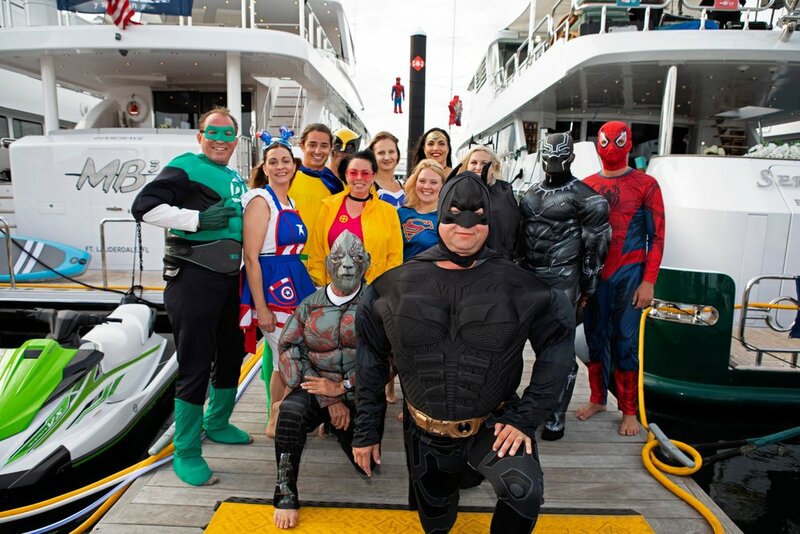 Thursday evening’s party and awards dinner, sponsored by Ward’s Marine Electric and KVH Industries, topped off the social events before the show’s final day on Friday. Jay Lasky, owner of Helly Hansen Newport, shows chef Shaun Byers of the M/Y Domani Helly Hansen gear at the Newport Charter Show.